According to news reports, the government of Chile requires this certificate a good conduct from Haitians who migrated there and want to become legal permanent residents of their country. Many Haitians spend days and nights in front of the Haitian consulate trying to to get that paper, a Haitian journalist said. The consulate on the other hand said such a certificate takes time because each certificate comes from Haiti's judicial police (CSPJ) in Haiti and it takes time, especially due to the fact that many Haitians who are trouble with the law are trying to take refuge else where. 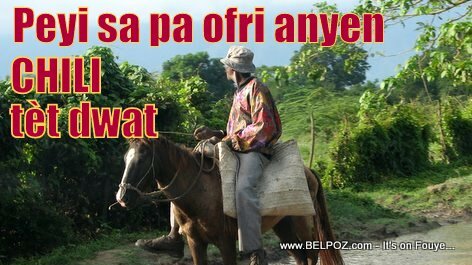 Anpil Ayisyen nan peyi Chili ap plenyen sou difikilte yo pou yo jwenn yon "sètifika de bonne vie et moeurs," nan konsila ayisyen an, yon dokiman enpòtan ke yo bezwen pou jwenn papye rezidans yo. Dapre nouvèl yo, gouvènman an nan Chili mande pou sètifika sa a, yon sètifika bòn konduit ki soti nan peyi d'Haiti pou tout Ayisyen ki te imigre e ki vle vinn rezidan legal pèmanan nan peyi yo. Anpil Ayisyen pase jou ak nwit devan konsila ayisyen an ap eseye jwenn papye sa a. De sa yon jounalis ayisyen fè konnen.